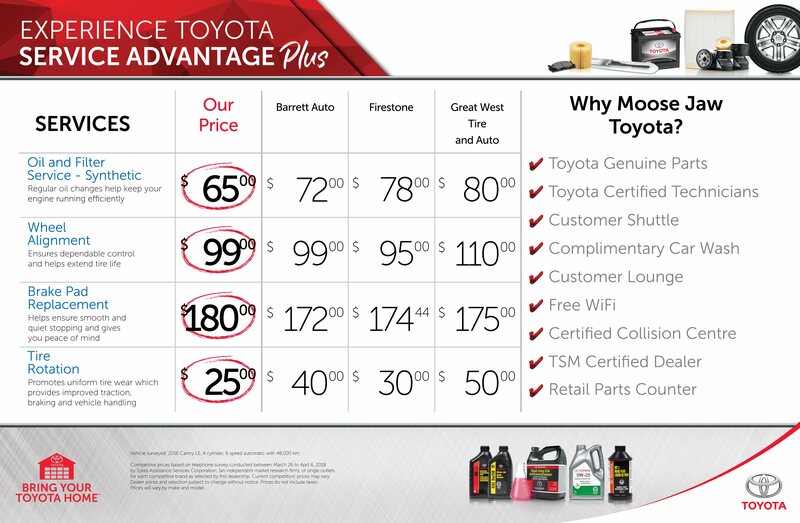 Here's our most recent service price comparison with local merchants here in Moose Jaw. 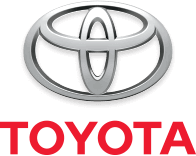 We've just updated our Compare Toyota Service Advantage as of June 2018, and once again we have some of the best pricing available in the Regina marketplace. Not only do we offer competitive pricing, we will always strive to offer the best customer experience possible. Why Pay More Elsewhere? Bring Your Toyota Home! No extra charge for fluid levels topped up, and up to 2L of windshield washer fluid. For Your Convenience - We know your time is valuable. Make your appointment for an oil change, and come in to enjoy free WiFi, and coffee while you wait in our comfortable lounge. And don't forget, all oil changes include a FREE car wash! *Please see your Service Advisor for full details.